By now, everyone should be totally aware of the fact that the ladies of Fifth Harmony have the moves, the tunes and the fanbase (let's hear it for the Harmonizers) that will absolutely take them to unimaginable heights in the music industry. 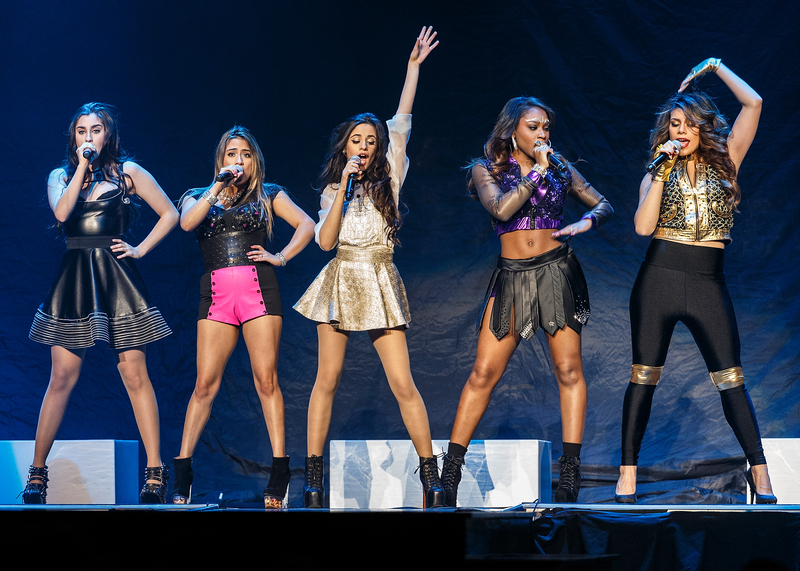 The group's debut studio album, Reflection just hit the shelves on Thursday — but if these girls keep their current momentum going, they shouldn't have any problem attracting some amazing collaborations in the near future, in addition to the ones they've already landed with Kid Ink, Meghan Trainor and Tyga (who is featured on their hit song "Like Mariah").Now, this isn't to say the ladies of Fifth Harmony don't have the ability to shine on their own. I mean, they've had stars like Britney Spears, Ed Sheeran and Demi Lovato co-signing them, so that pretty much means they're officially the bomb. But, after watching this clip of Fifth Harmony totally nailing impressions of Beyoncé, Rihanna, Madonna, and Shakira during their album release party on Monday, I instantly thought about how awesome it would be if they collaborated with any or all of those musical greats. Seriously, Normani Kordei's Single Ladies impression alone is sizzling enough to grab Bey's attention — here's to hoping it somehow winds up in her inbox. Until then, though, who else would make a great Fifth Harmony collaborator? Aguilera's one of the group's musical inspirations and hearing all that vocal power on one song would be ah-mazing. Just because a Grande-5H collaboration didn't happen on Reflection doesn't mean we should rule it out. OK, so fine, I can't let go of this Beyoncé thing, but can you blame me? No one can convince me that combining Bey's flawlessness with the talent of 5H won't have everyone bowing down.